Shriram Automall – Name of Trust, Transparency and Reliability! Looking forward to bridge the gap and making a deal directly with a person while acquiring and selling the pre-owned vehicles and equipment. You can stop looking as if you are reading this you are looking right where you need to look to attain the most informative, transparent, user friendly experience you desire. India’s automobile industry is one of the fastest growing in the world, as it is already the sixth largest globally. Till about a six years ago, in the absence of organized players, more than 50% of all used vehicle sales were C2C (customer to customer) among friends and relatives, with a ‘Circle of Trust’. The remaining sales were managed by local unorganized dealers. 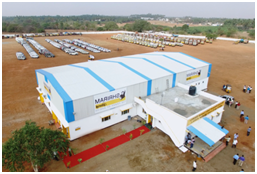 In 2011, after Shriram Automall IndiaLimited (SAMIL) incepted its first Automall facility in India, face of the used automotive market changed. Acquiring a used Automotive from SAMIL is not just a smart move but also an optimal move which can serve you better for the long duration of time. As with used Automotive, you can expect better upgraded models in good quality at low prices. You might be thinking if it would be a great idea? You are right! You must think about all your options but we make sure while dealing with SAMIL, you won’t have to think twice, as story is quite different with them. They understand how buying a used vehicle can be one of the biggest investments of your life. So, you don’t have to worry anymore! Being the 100% Subsidiary of Shriram Transport Finance Company (STFC), SAMIL provides easy finance facility, through which you can easily acquire your desired used vehicle at optimal prices through any of the choice able transaction platform that company offers. Through this facility Company aims to build an inclusive society which is self reliant. Customers can avail the facility of finance on either of their single or bulk requirements. So, if you are looking forward to get more than expected quality of services and experience. Here is where you should stop looking because now all you have to do is click the link given below and let SAMIL’s team do what they do best and that’s providing best in class used vehicle and equipment through most transparent platforms along with customer oriented allied services.